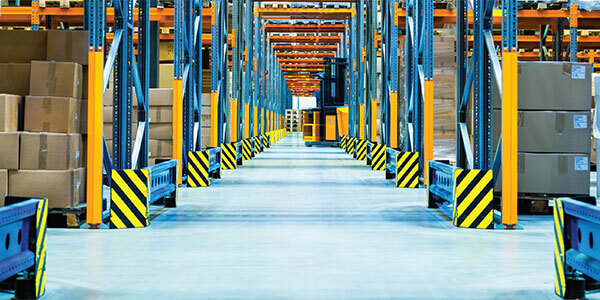 Home » News » Warehouse News » Warehouse performance improvement programs: What works best? Warehouse performance improvement programs: What works best? When it comes to boosting DC performance, are you better off focusing on process or technology? According to a recent study, the answer depends on whether you're a shipper or a 3PL. It's the rare warehouse these days that hasn't engaged in some type of cost cutting or performance improvement program. Some have turned to technology in a bid to streamline operations. Others have taken the process route, putting programs like continuous improvement plans in place. Still others have changed up their personnel (for example, bringing in highly effective managers to run their facilities), pulled up stakes and moved to a location with lower labor costs or tax advantages, or in the case of shippers, outsourced their warehousing operations. Which of these changes is likely to produce the biggest payoff? To find out, ARC partnered with DC Velocity and eft (eyefortransport) to conduct a study that asked this core question: "Over the last five years, what change led to the greatest improvement in distribution costs per unit shipped?" The survey was conducted among 150 valid respondents from a variety of sectors: 34 percent hailed from the wholesale business, 33.3 percent from third-party logistics service providers (3PLs), 14.7 percent from manufacturing, and 14.0 percent from retail. The remaining 4 percent fell into the "other" category. Slightly over half the facilities profiled in the study (54.3 percent) were located in North America, while the remainder were in Europe, the Middle East, Africa, Asia, and Latin America. In considering the results that follow, readers should keep in mind that the benefits reflect what respondents identified as their "most effective" tactic for reducing costs over the past five years. The way this question is worded means that these are atypical results. These should not be considered the results the typical company would get from implementing technology or a process change program. Rather, this is an analysis comparing the relative benefits of highly successful technology projects to highly successful process programs. So where have companies gotten the most bang for their buck when it comes to DC cost-cutting initiatives? As it turns out, the answer depends on whether the company is a shipper or a 3PL. It was a different story altogether with the 3PLs. Among these respondents, well over half (59.2 percent) credited process improvements with producing the best results. As for why the 3PLs would choose process over technology, there are a number of good reasons for that, all relating to the nature of the business. For starters, there's the issue of payback. Third parties that run dedicated facilities for their clients often lease those warehouses for the length of a contract with a customer. Common lease lengths are three to four years. Problem is, the return on investment (ROI) for a technology project may well exceed that. For instance, some types of material handling equipment have historically had a payback period of four to five years. It's not hard to see why a 3PL would be reluctant to make that investment. Further, bringing in technology isn't always an option for 3PLs. For instance, if a 3PL agrees to operate a warehouse that the shipper had built and staffed, the 3PL will inherit the technology already in place. So if the warehouse is already using, say, a warehouse management system (WMS), the 3PL won't have the opportunity to cut costs by introducing warehousing software. Although technology projects may not be a slam dunk for 3PLs, process improvements are a natural. Large 3PLs report that continuous improvement programs tend to be high on potential customers' "want lists" and almost always appear on their requests for proposal (RFPs). These capabilities, according to one top 3PL executive, "are table stakes. You have to be able to show you possess a continuous improvement program to be in the game." All this raises the obvious question, What kinds of results have these projects produced? To get an idea of the extent of the savings, the study asked, "How much have your distribution costs per unit shipped decreased based upon the implementation of [your] technology or process project? Please answer for the first full year after the shakeout period was completed." As Exhibit 2 shows, both process changes and technology implementations produced solid results (the survey subsamples weren't large enough to provide solid data for the people, location, or outsourcing options). But it's worth noting that technology projects performed both better and worse than process projects—they were more likely to produce savings of 10 percent or more but also more likely to result in savings of 1 percent or less. Interestingly, for both technology implementations and process programs, we found a correlation between results and warehouse complexity. The more complex the warehouse, as measured either by the value of goods shipped or the percentage of broken-case or full-case picking, the more likely respondents were to report that their project had resulted in distribution-cost-per-unit savings of greater than 8 percent. As for the initiatives themselves, the most common technology projects were software implementations, rather than material handling equipment or other types of installations. Voice recognition and labor management system (LMS) implementations tended to produce bigger savings than warehouse management systems did. However, it's important to note that both voice and labor management systems are often built on a WMS platform and rely on that system to direct their operations. That is, without a WMS in place, it's much more difficult to implement voice and LMS technology, and more difficult to get stellar results from those implementations. When it came to process programs, continuous improvement projects were the most common, representing more than two-thirds (67 percent) of all process initiatives. Of course, cost is not the only measure of a project's success. If cost savings come at the expense of service, it would be hard to argue that a project was truly successful. To get a better idea of how these technology and process projects had affected customer service, we asked respondents whether their programs had resulted in changes to on-time shipping performance. For purposes of the survey, we defined orders shipped "on time" as orders shipped at the planned time ("shipped" meaning off the dock and in transit). As Exhibit 3 indicates, the respondents' improvement initiatives posed very little threat to service. Projects that improved companies' cost position usually improved their on-time shipping performance as well. As for how the two main types of projects stacked up, once again, technology projects performed both better and worse than process projects—they were more likely to boost on-time shipping by over 5 percent and more likely to result in a drop in performance. None of the "process" respondents reported that service had deteriorated as a result of their project. Based on improvements in on-time shipping, it's not surprising that high percentages of both technology and process respondents reported better performance against the "perfect order" metric: 75 percent and 66 percent, respectively. (To be considered "perfect," an order must arrive complete, be delivered on time, arrive free of damage, and be accompanied by the correct invoice and other documentation.) Similarly, 82 percent of process respondents and 64 percent of technology respondents reported improvements in order cycle time. Another measure of customer service is lost sales due to stockouts in the warehouse. Forty percent of technology respondents and 44 percent of process respondents reported that their performance against this metric had improved as a result of their project. Successful projects tend to be successful on multiple dimensions. Exhibit 4 indicates some of the other benefits respondents realized from their warehouse improvement programs. In many cases, technology projects and process projects produced essentially the same results. There were a few differences, however. For instance, technology projects substantially outperformed their process counterparts when it came to the warehouse's ability to implement other technologies in the future. For their part, process projects outperformed technology with respect to executive time devoted to overseeing warehousing and supplier relationships. A payback period is a classic way to measure the success of a project (a payback period being the length of time required for a company to recoup its initial investment through cost savings). In this area, process clearly beat technology. With process programs, over 20 percent of respondents reported that they had been able to launch a program at minimal cost. Of course, payback would logically be related to how a warehouse was performing before the technology or process program was introduced. If a warehouse is significantly underperforming, the greater the chances that a project will result in significant improvements. Of the two groups, the process respondents were more likely to say their warehouses had been "significantly underperforming" before the project began; 20 percent of process respondents said that had been the case, compared with only 11 percent of technology respondents. As for the startup process, ARC asked respondents whether they had experienced "significant issues" in launching the project or program. Not surprisingly, perhaps, software projects were more likely to be associated with startup glitches (60.7 percent) than process projects (56 percent) were. Technology projects based on the implementation of equipment—as opposed to software—created the fewest significant issues. Another way to assess the success of a project is to determine whether it resulted in a one-time cost reduction or in ongoing distribution cost savings. In this area, process projects appeared to perform just slightly better than technology projects. That finding came as something of a surprise given that the most common type of process project was the implementation of a continuous improvement program and the whole point of these initiatives is to drive gains on an ongoing basis. Finally, to gain some insight into what worked and what didn't when it came to implementing a warehouse improvement program, ARC asked respondents what factors had contributed to their project's success. With respect to technology projects, the respondents identified two factors as the most important: 1) the process changes the company put in place to support the technology, and 2) the training and culture-change program the company implemented to support the implementation. As for the process projects, respondents said the biggest factor in a continuous improvement project's success was the company's culture—that is, whether it had already committed to a continuous improvement regimen. This should probably come as no surprise. When you talk to companies that are proud of their continuous improvement capabilities, they're sure to tell you that for them, operational excellence (OpX) is no "one and done" deal; it's something they've embedded into their culture.